Kuching FA today unveiled their 2019 Liga M3 kit which will be used during the whole season. The new kit, as previously expected, was made by Lea Sports Centre under the brand StarSports. 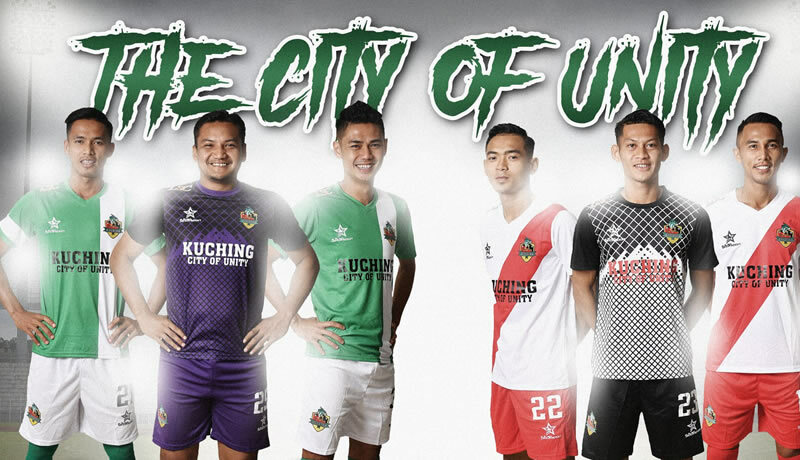 Kuching choose to stick to their tradition by retaining green and white as their home kit colours, but decided to go bold on their away colours which is white and red. The away kit looks a lot like Ajax Amsterdam’s traditional kit with it’s slanting massive red stripe. Now, while the new kit of Kuching FA is very simple to say the least, we really like it because it looks nice and is according to today’s trend which is rather minimalist. Kuching had mentioned that the jersey will be sold at Lea Sports Centre Hopoh and Sarawak Plaza for RM49.90. One can also buy the SarawakCrocs Tribal jersey at just RM60 from www.TheKedey.com.